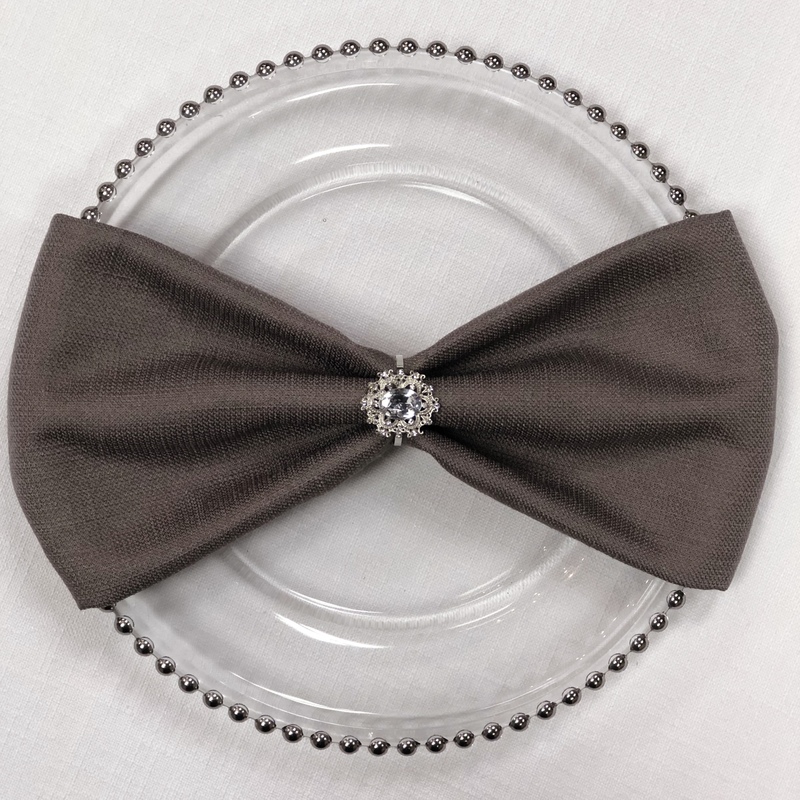 Custom details are what our LUXE staff lives for! 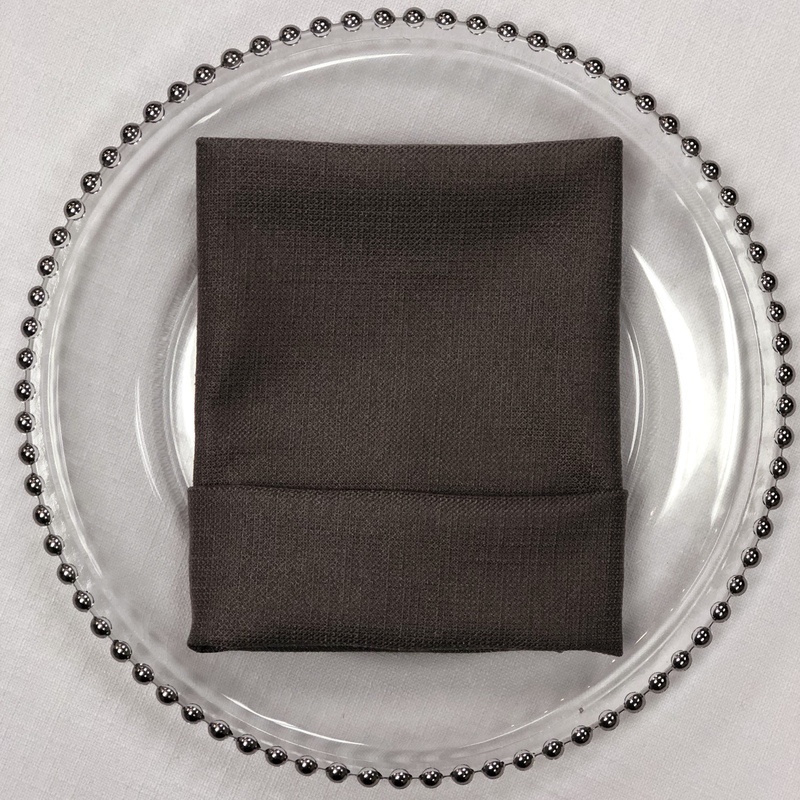 LUXE offers you the ability to see your vision come to life. 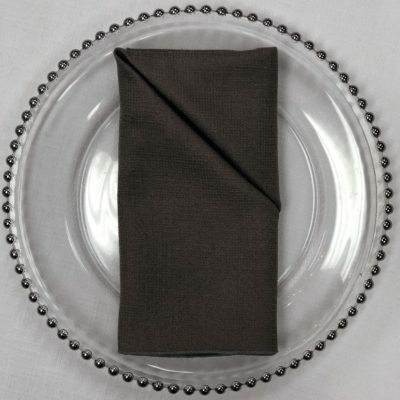 Bring in your sketches, pictures or Pintrest pages and we will make your event custom. 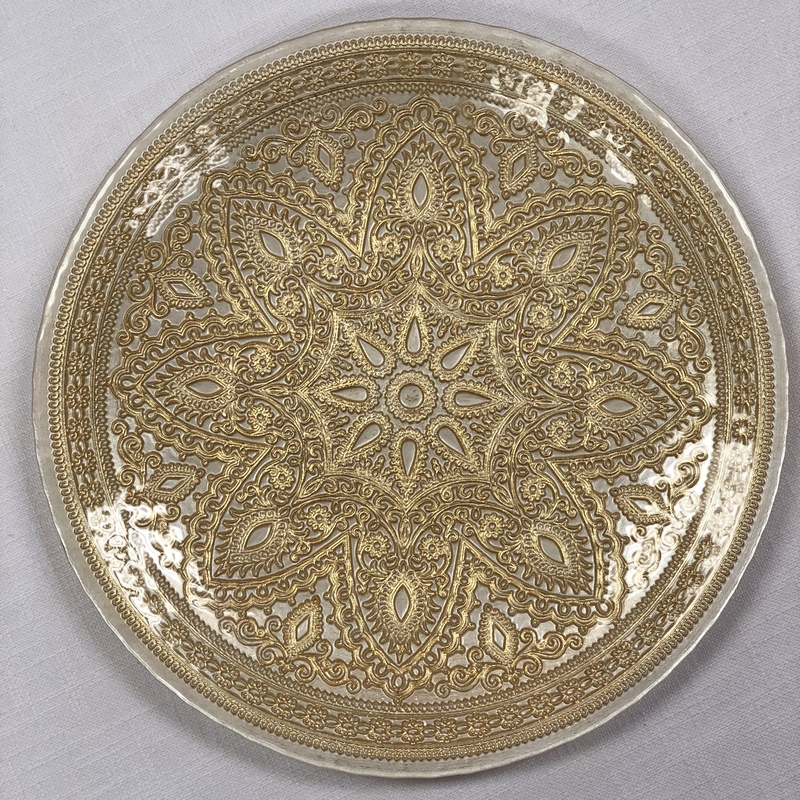 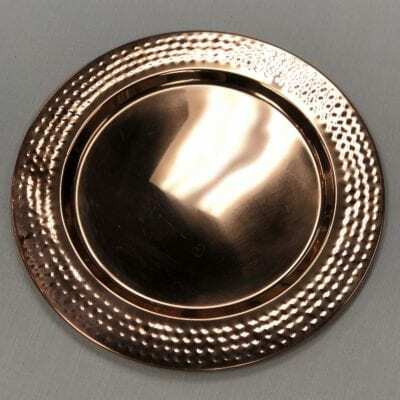 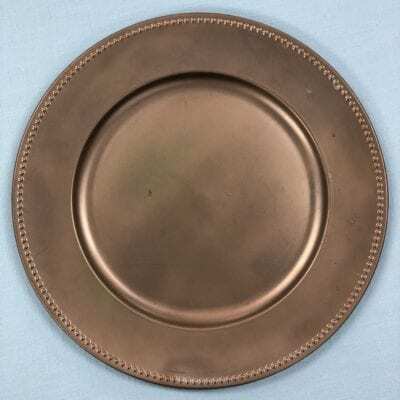 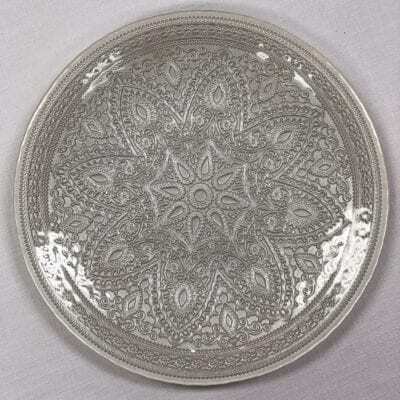 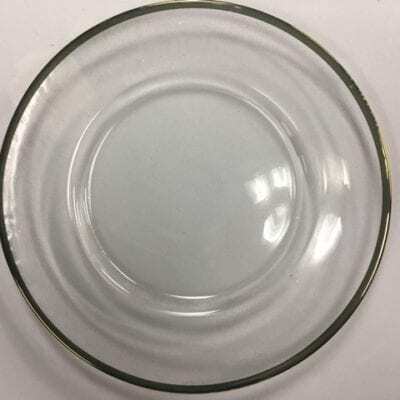 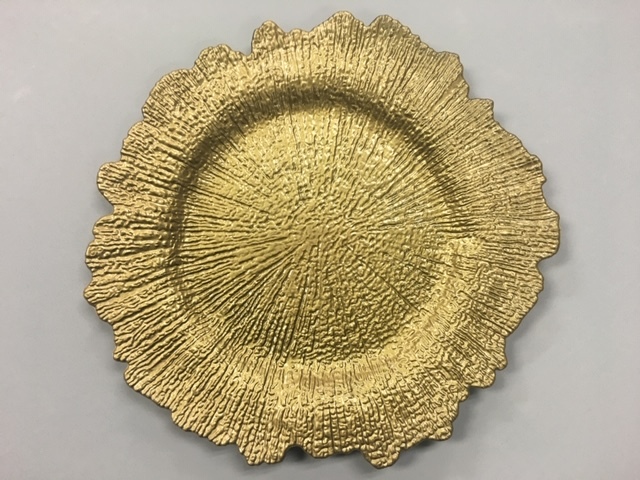 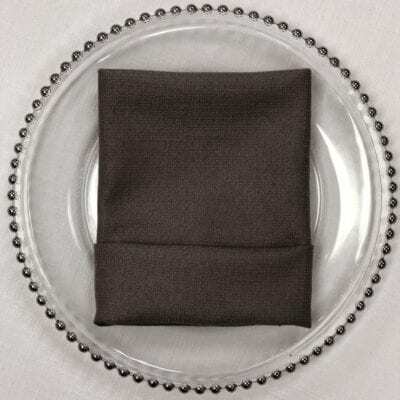 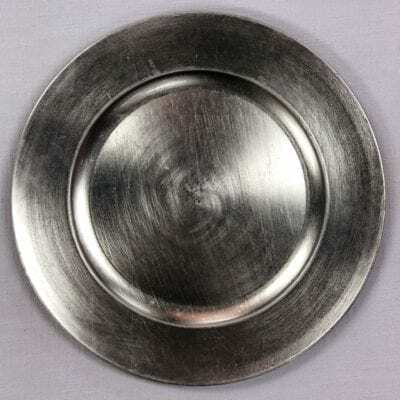 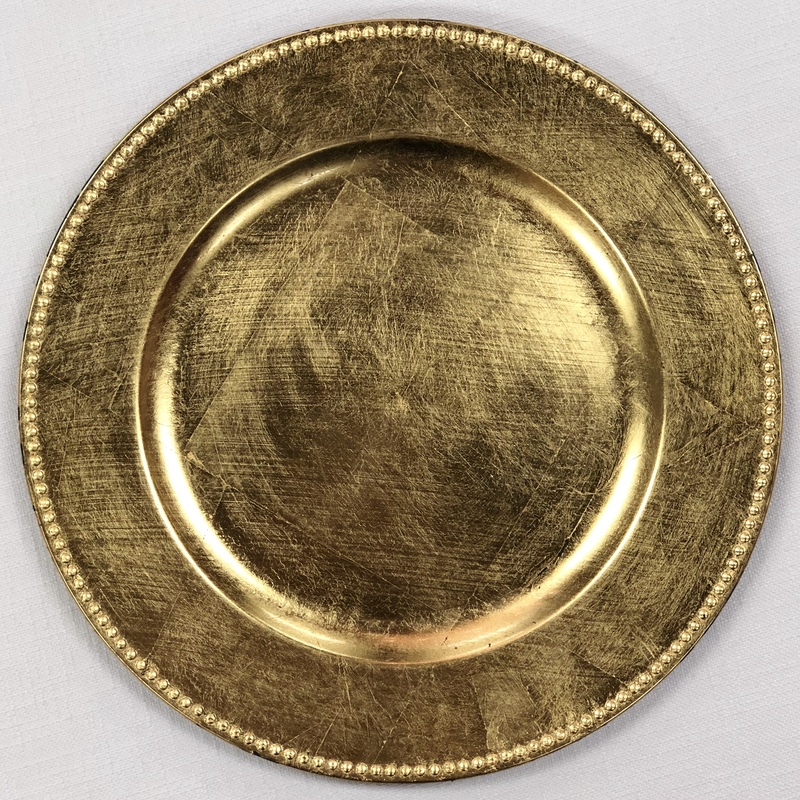 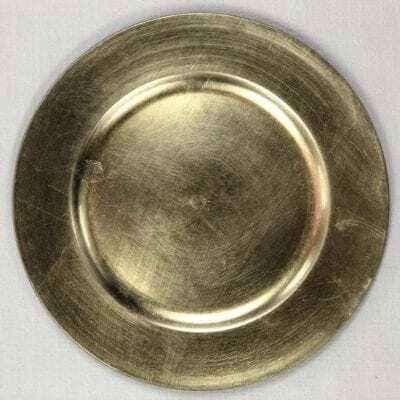 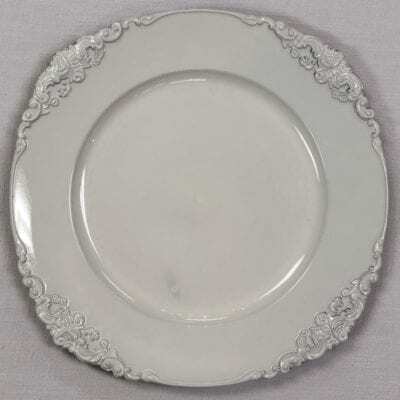 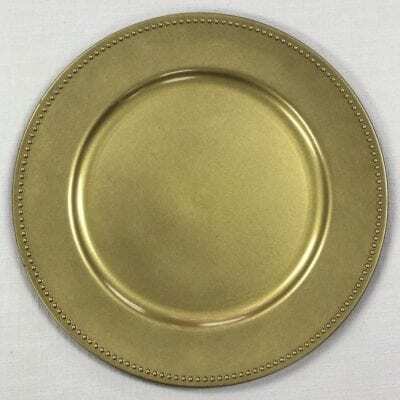 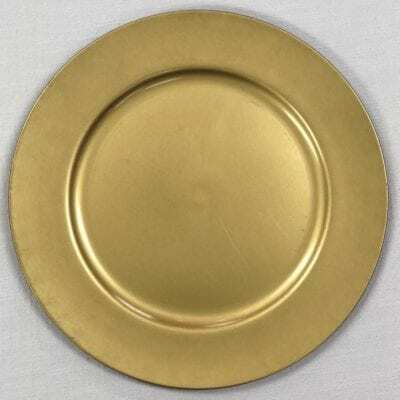 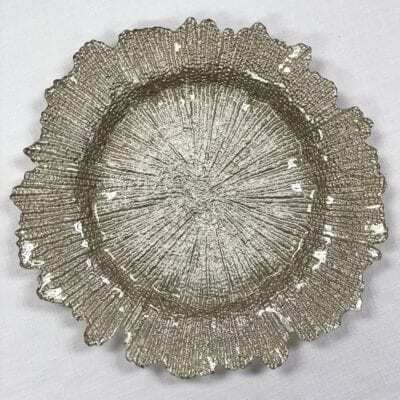 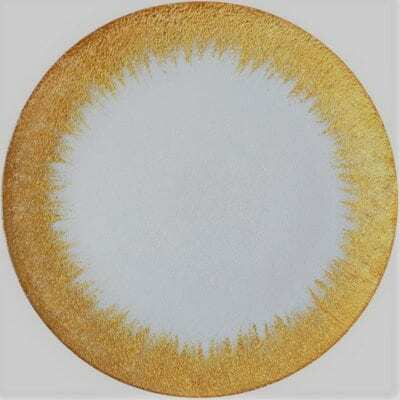 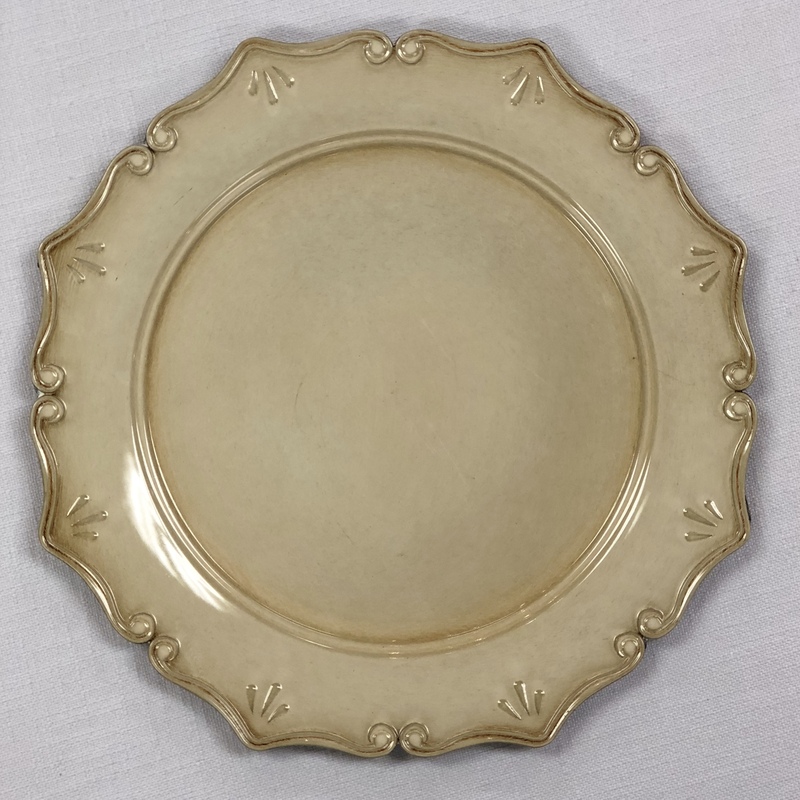 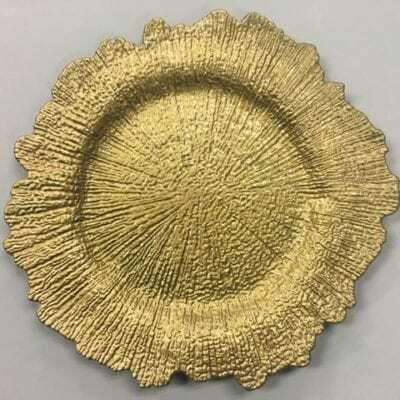 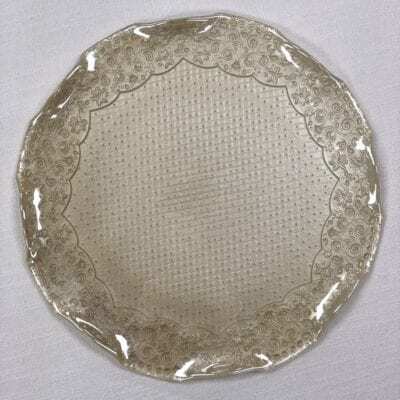 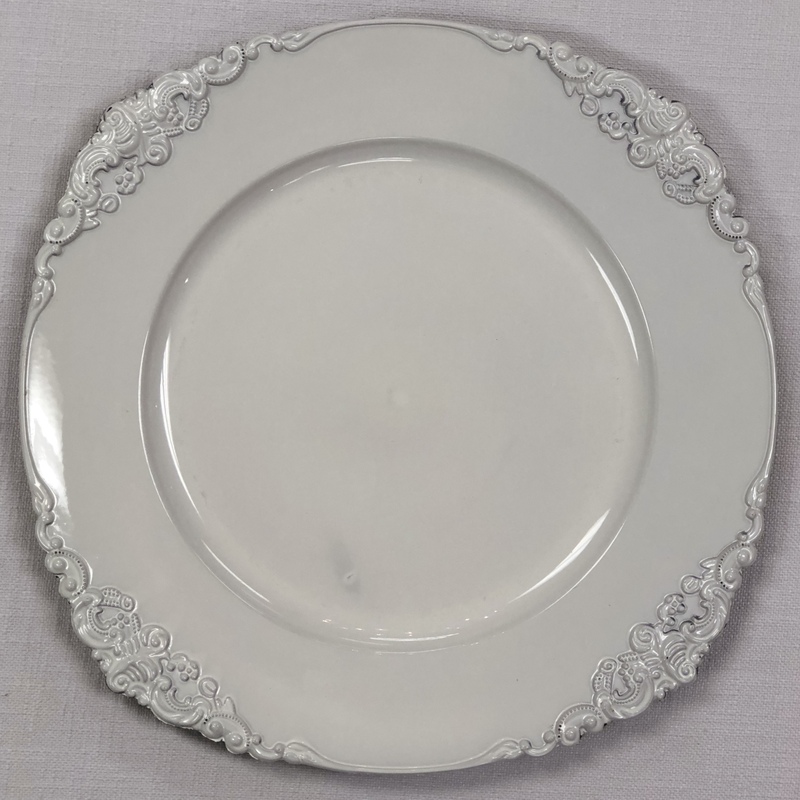 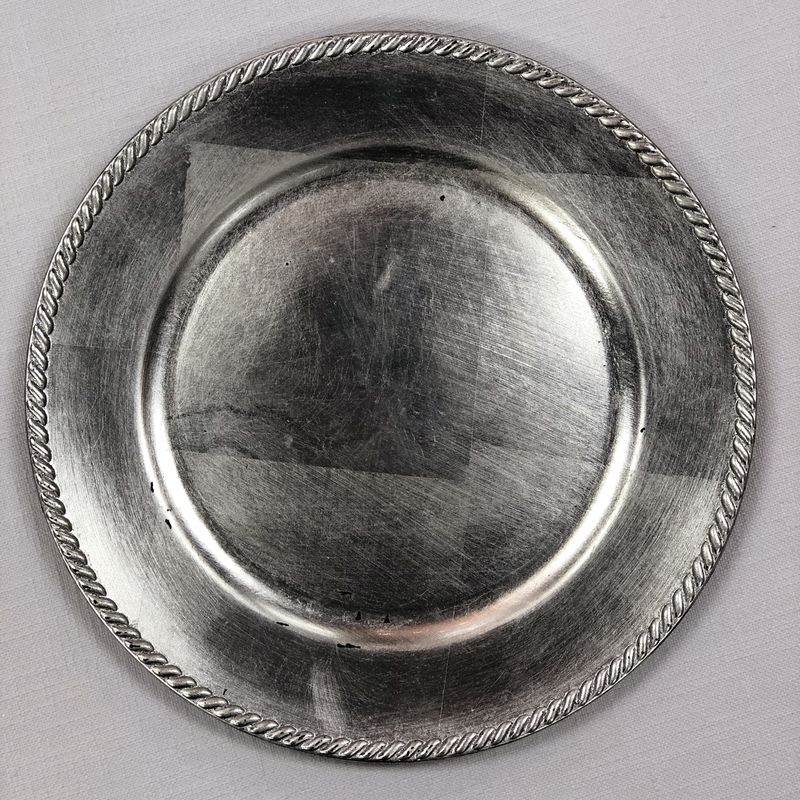 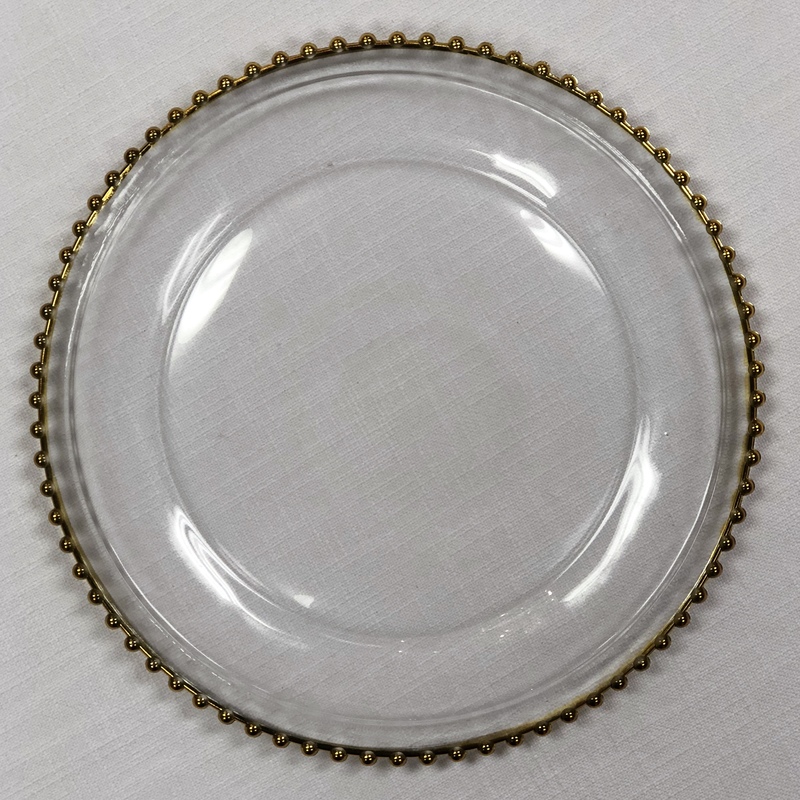 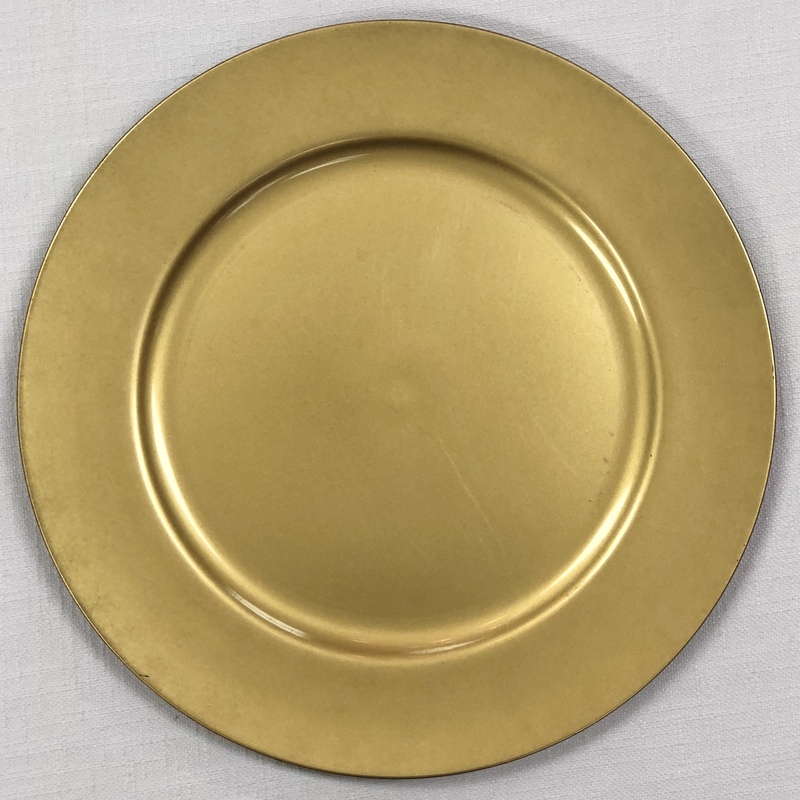 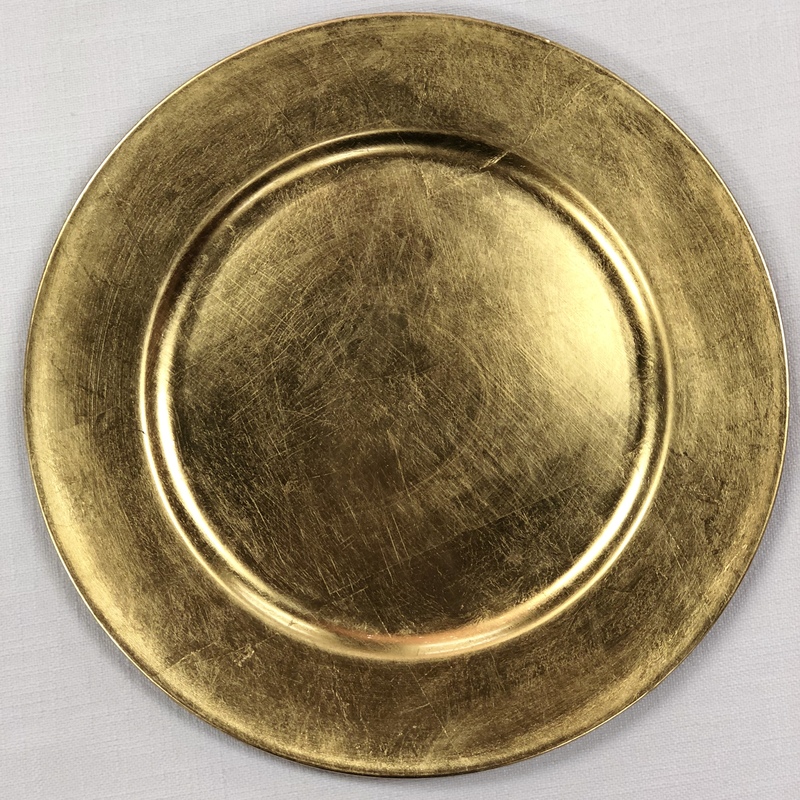 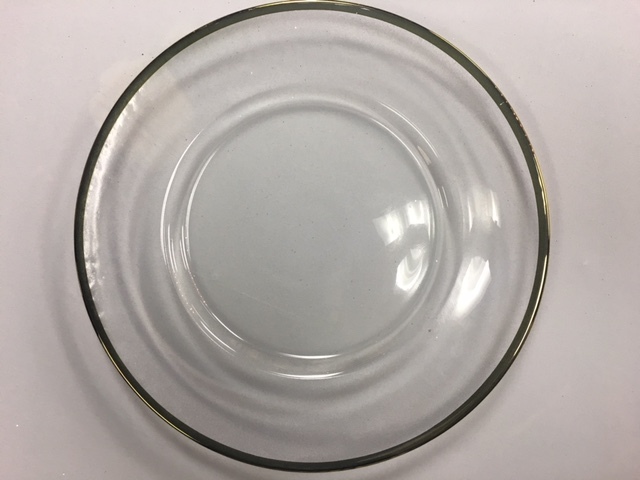 We offer several different styles of charger plates to add a touch of LUXE to your tables. 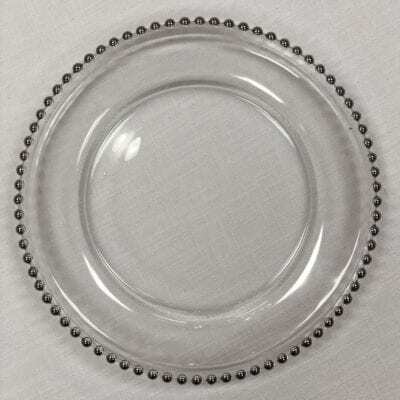 Glass beaded in Silver & Gold, Acrylic plates offered in Silver, Gold and black in both beaded and braided rim details. 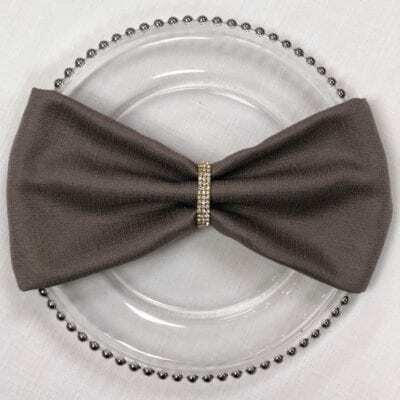 Rhinestone Rings are the perfect accessory to add sparkle to your event. 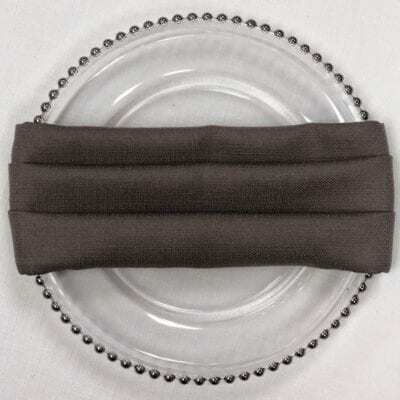 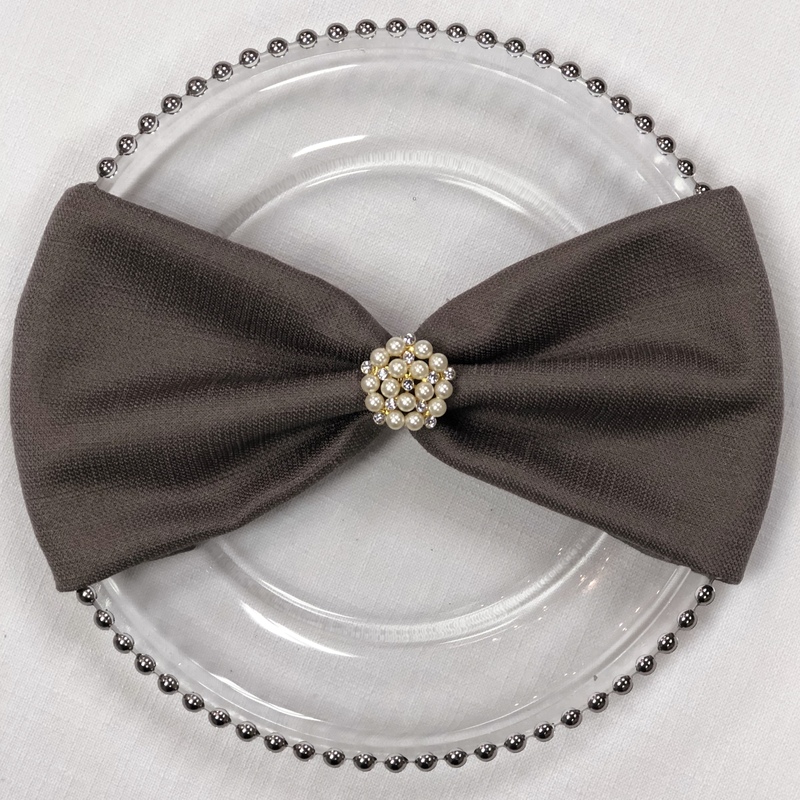 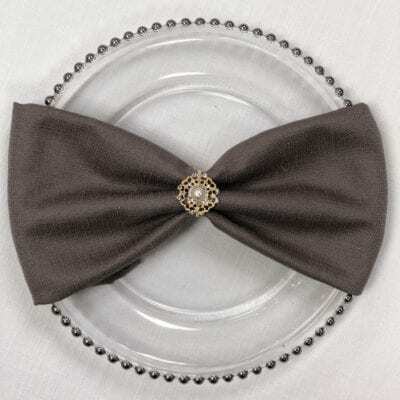 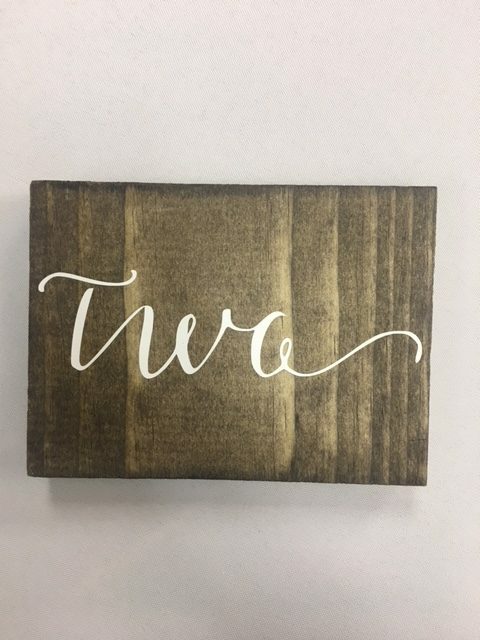 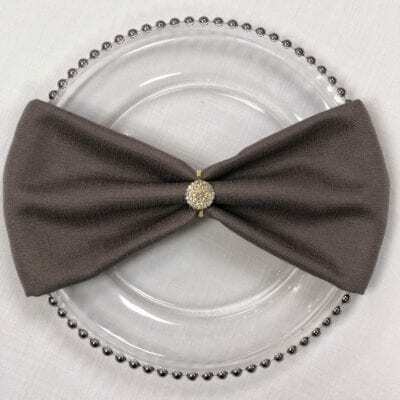 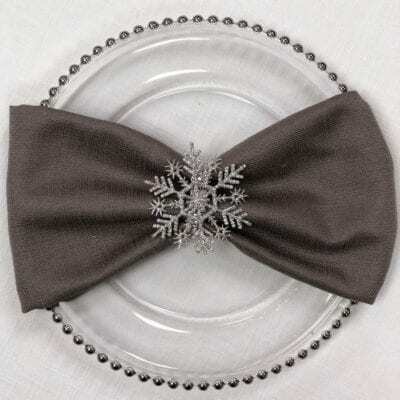 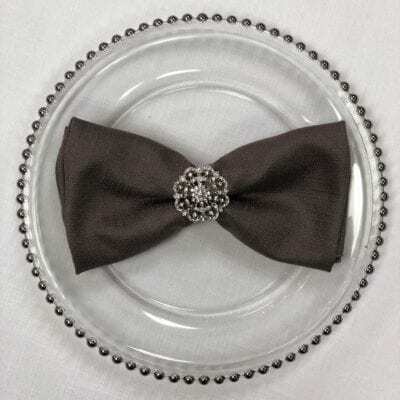 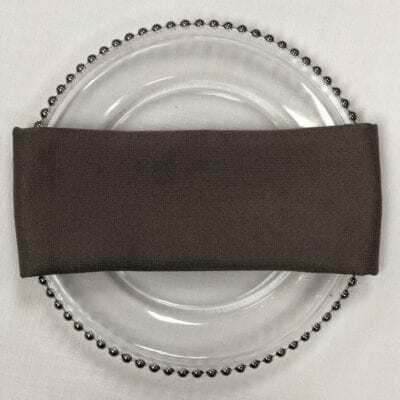 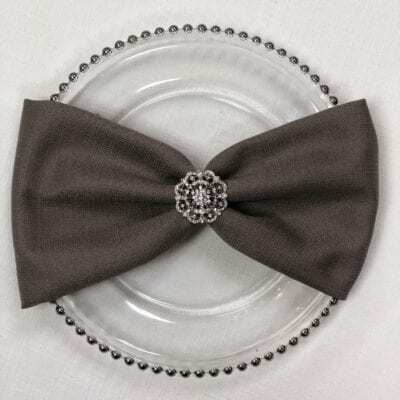 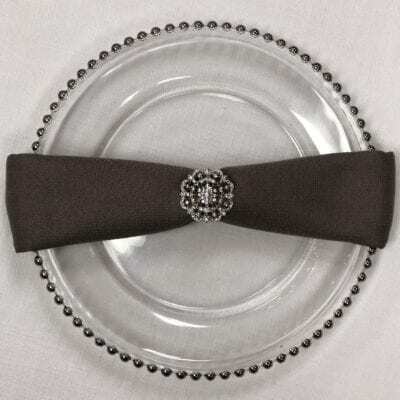 They can be used as a napkin ring, on your chair sash or even on your cocktail tables. 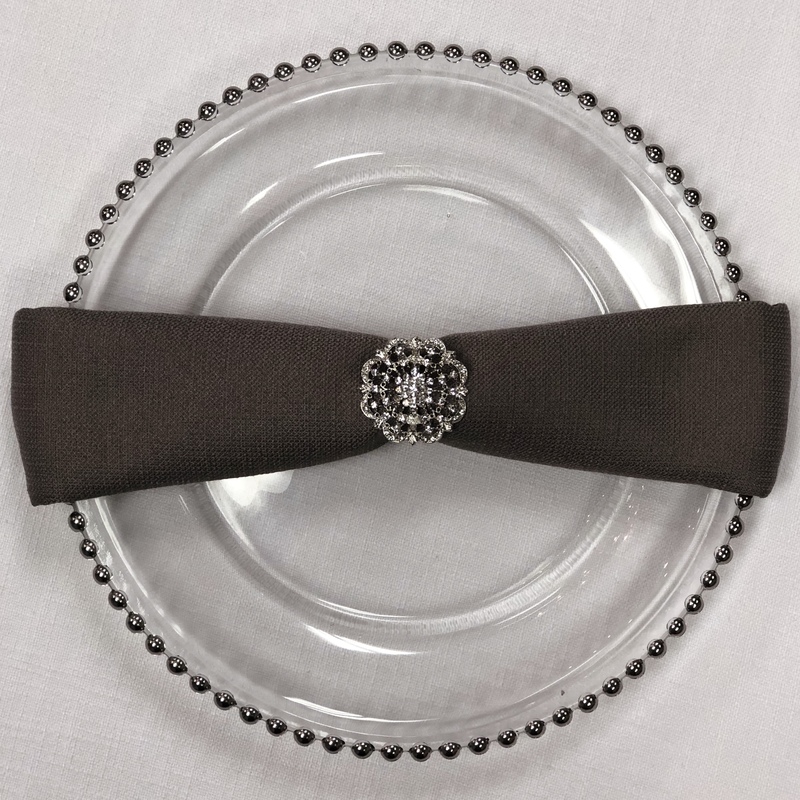 Remember…the little details can add so much sparkle! 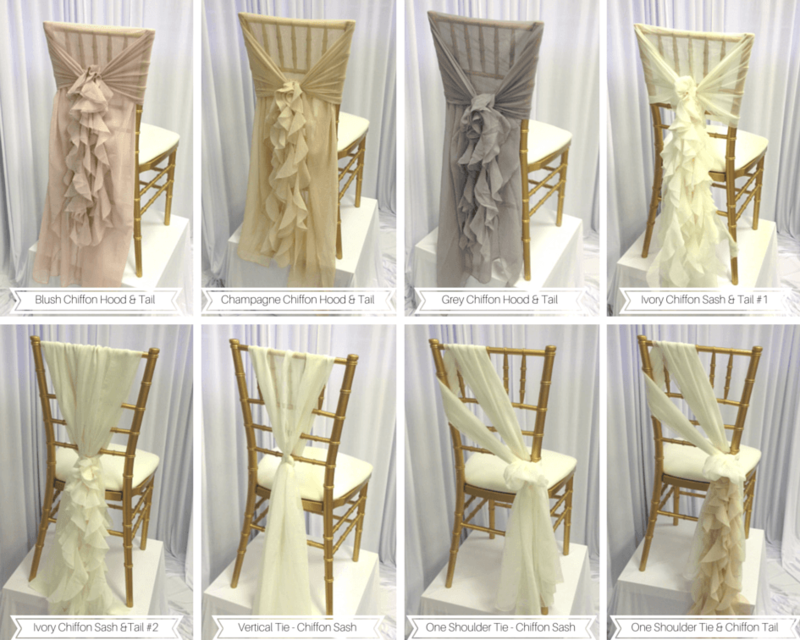 Chiffon Sashes are soft, romantic and elegant. 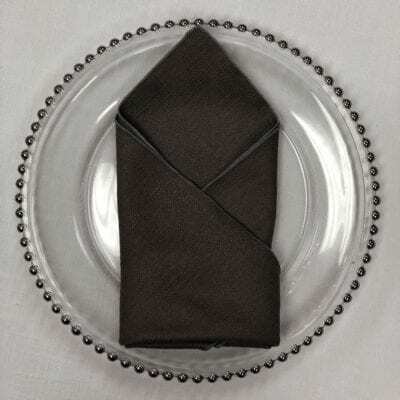 Add them to just your VIP chairs or the entire event. 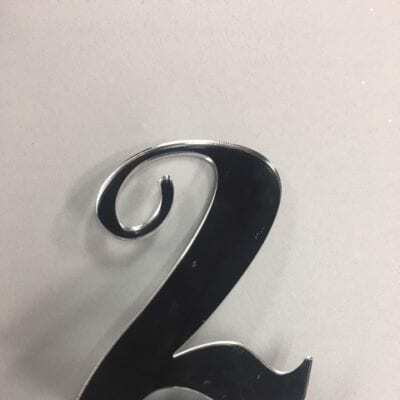 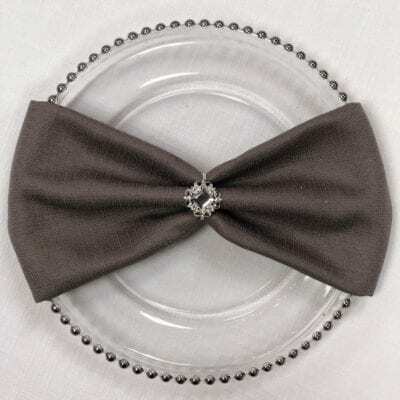 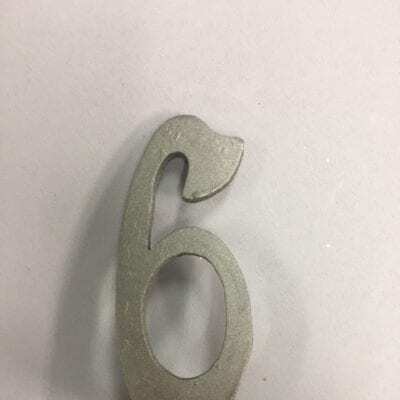 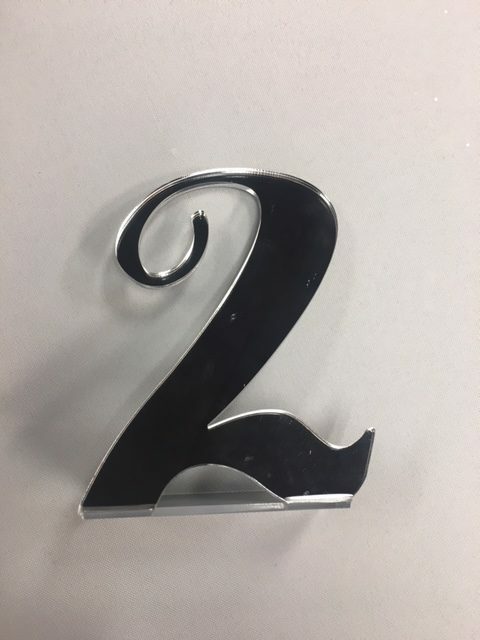 We can customize even further by adding rhinestone buckles, pins, broaches or rings or just set apart seating by the way that we install the sash on your chairs. 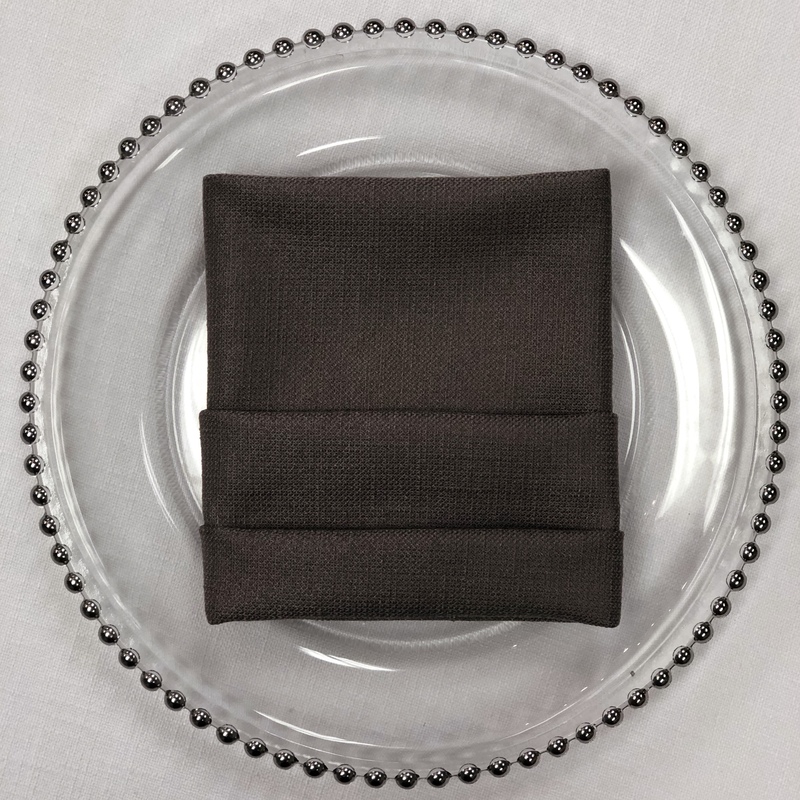 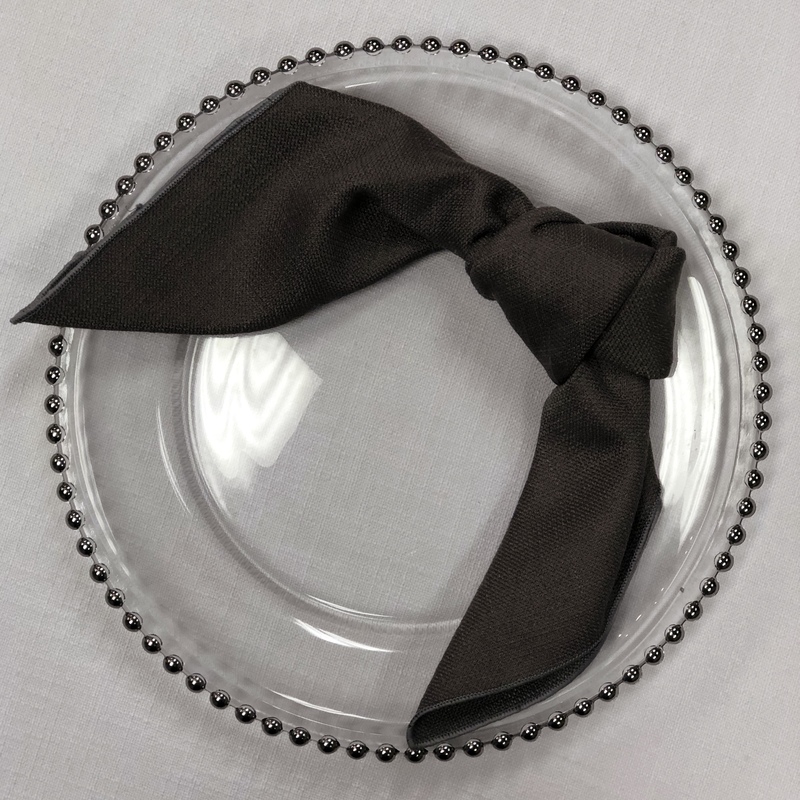 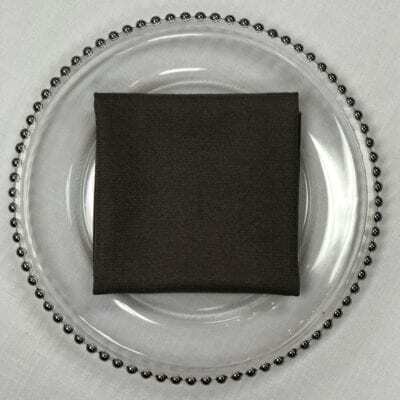 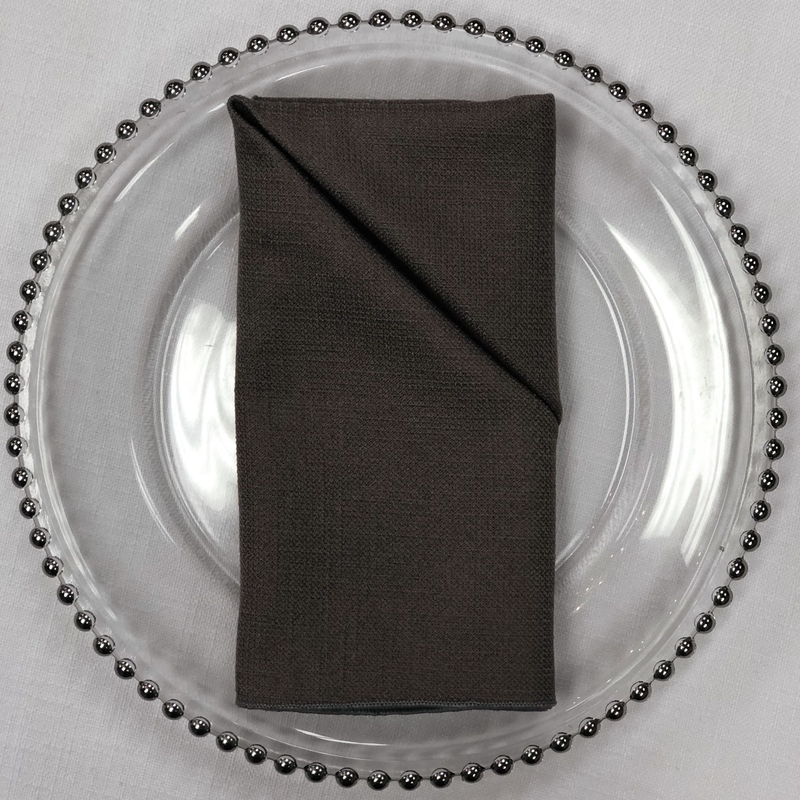 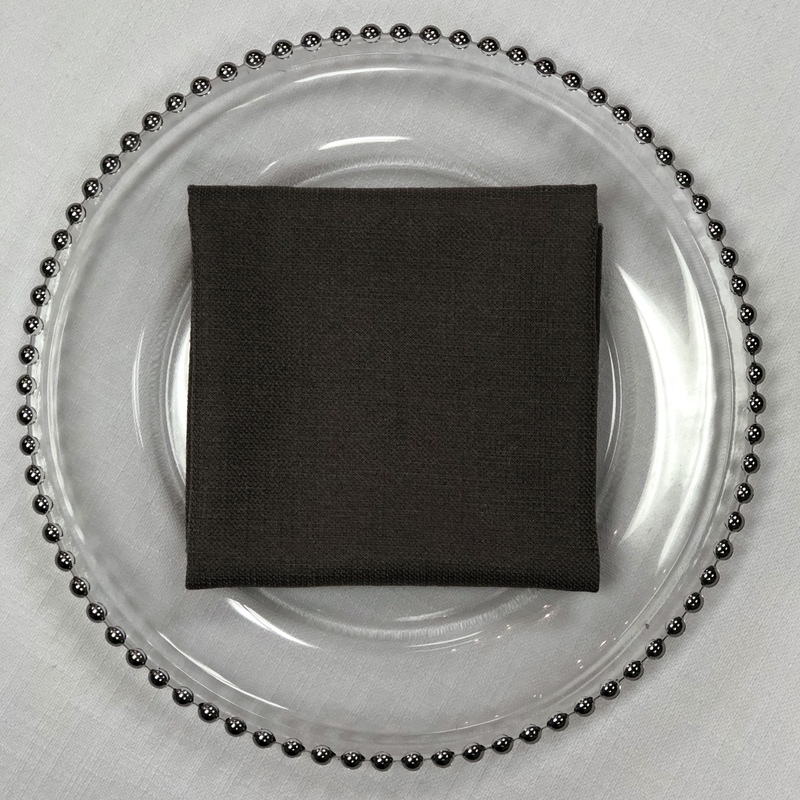 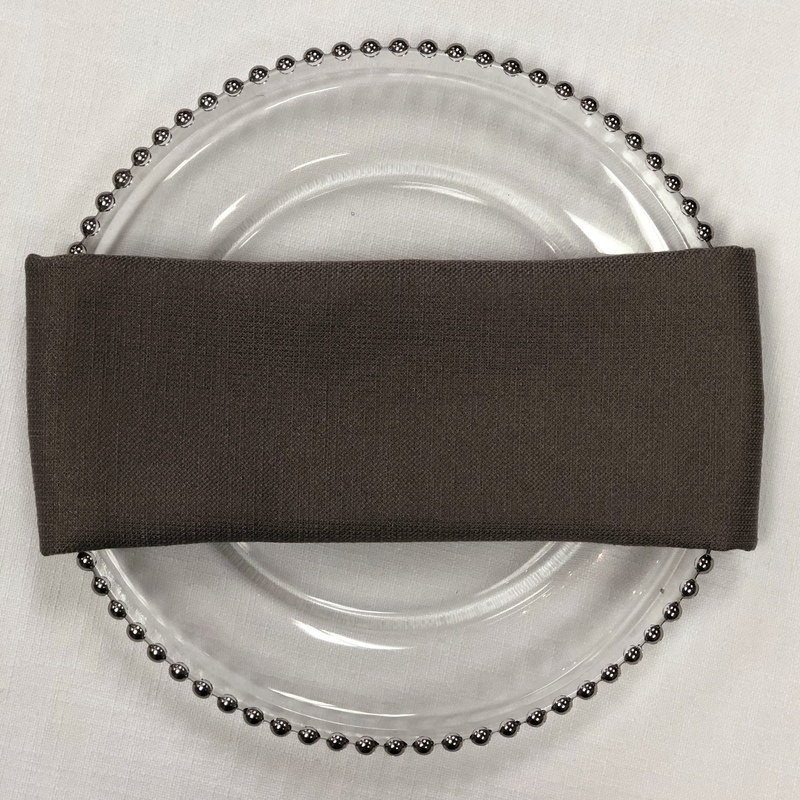 Crystal Bling Wrap is the perfect application to table band, add to your napkins, your linens, your chairs and chair covers. This product can be customized to truly set your event apart. 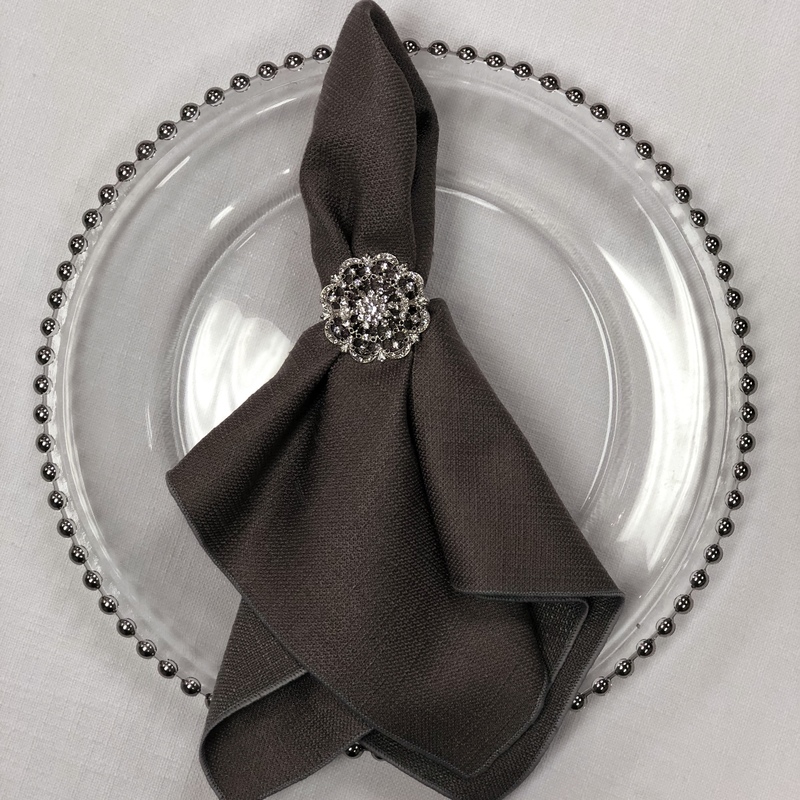 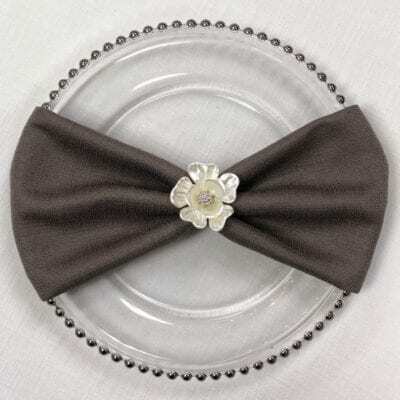 Floral Pins & Broaches are perfect to add to your chair covers, chiavari chairs, sashes, linens, cake tables…..available in 3 different sizes and an array of colors. Spice up your seating with our rosette chair caps! 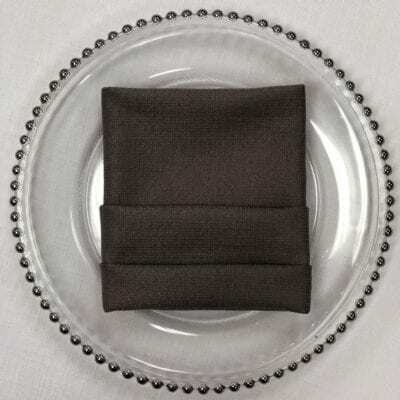 Luxe Event Linens offers chair caps in regal red, fuchsia, eggplant, forest and champagne! 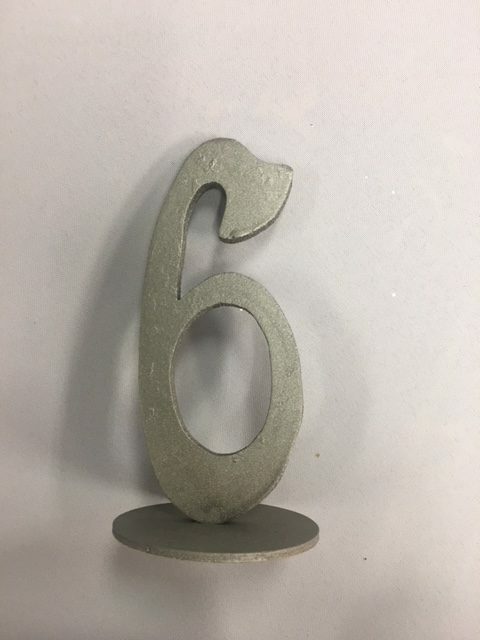 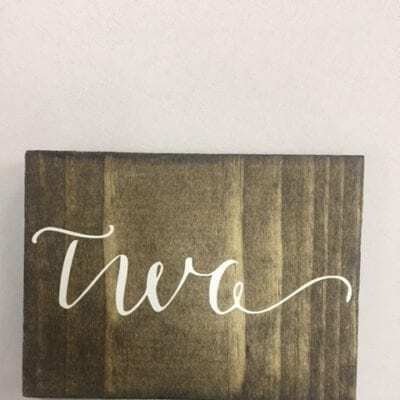 These chair caps are perfect for the client who wants to add a unique flair to their event. The Rosette chair cap is an exciting alternative to a sash and will completely transform the look of any chair!